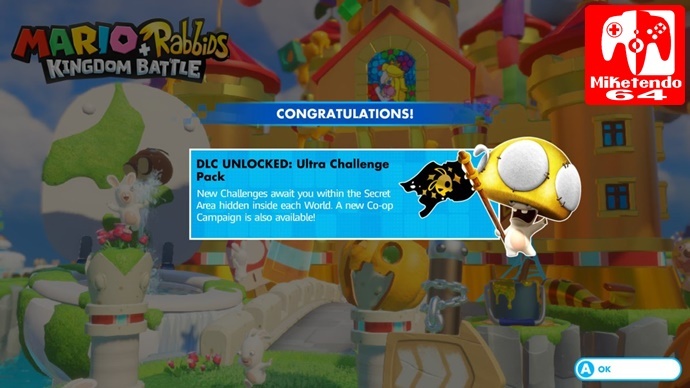 The New Ultra Challenge DLC For Mario + Rabbids: Kingdom Battle is out now and some folks who brought the Season Pass, are having problems updating their game to receive the new DLC and that is not good at all. 1) Go to Nintendo eShop. 2) Open your Account Information page by selecting your User Icon in the top right. 4) Redownload Mario + Rabbids® Kingdom Battle : Season Pass. Following the release of the Ultra Challenge Pack – part of the season pass you purchased for Mario + Rabbids® Kingdom Battle – it has come to our attention that not all downloads are starting automatically.